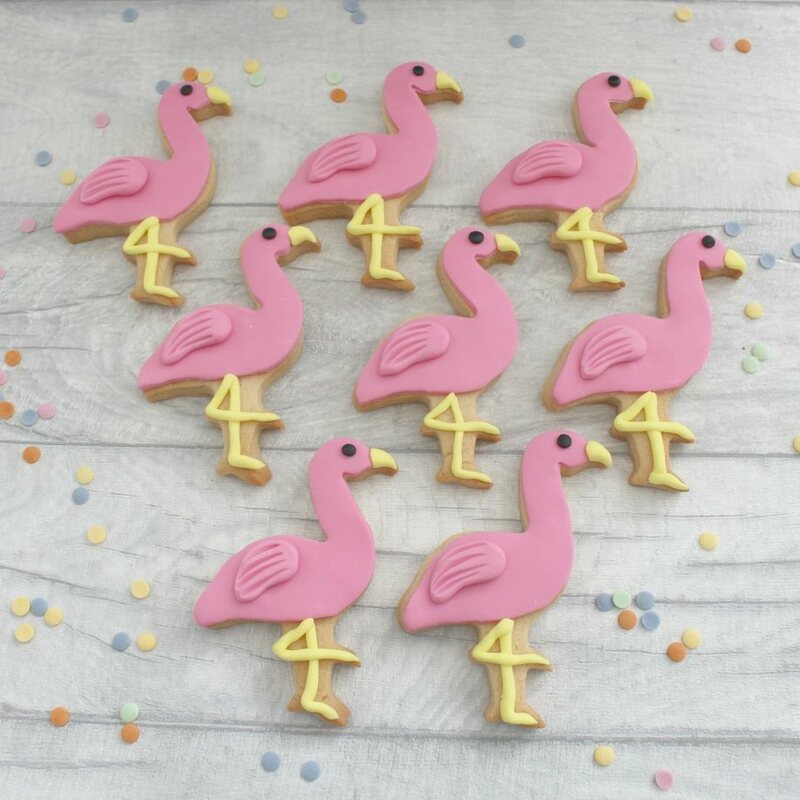 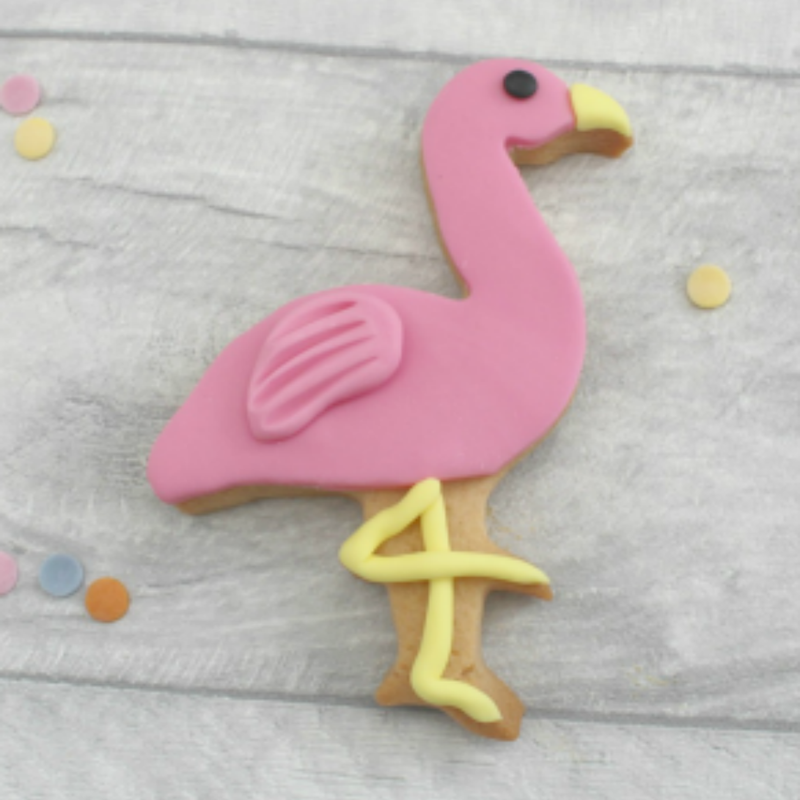 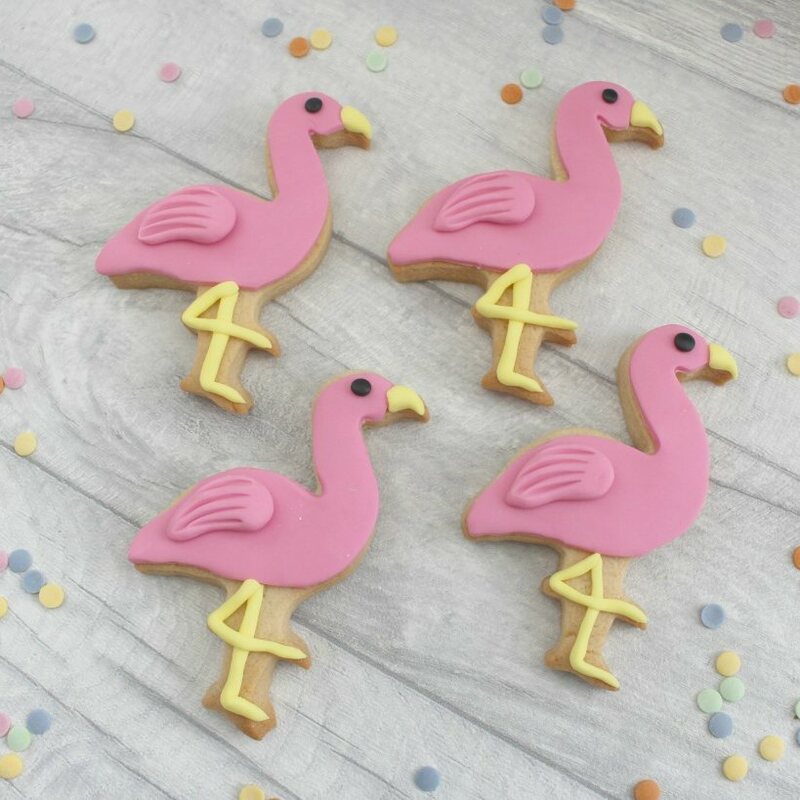 Beautiful handmade and hand decorated flamingo cookies, in your choice of Vanilla, Gingerbread or Chocolate biscuit. Perfect as party favours for a birthday or baby shower, or just as a gift.You can choose how many cookies you want, and what flavour, using the options available. Each flamingo is approximately 3" x 4" in size. The sugarpaste is coloured by hand for each order, so colours may vary slightly, and screen colours may also change the colour of the original product.